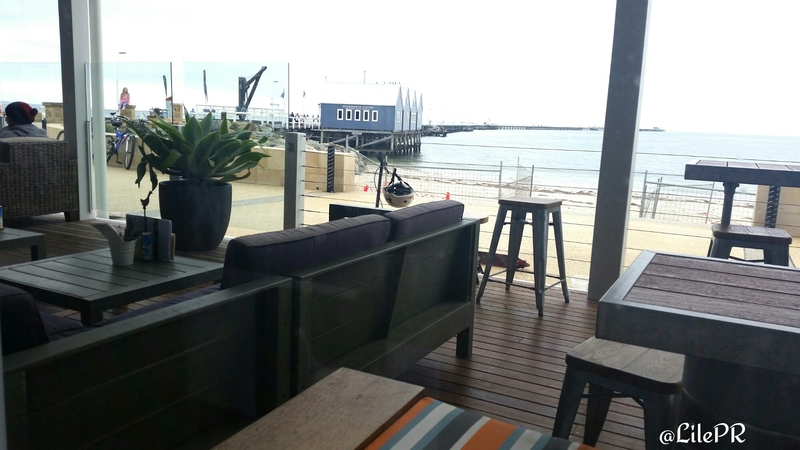 Is there a better place in Busselton to have a late lunch with friends and a view like this! On our way home from the caves and lighthouse along the coastal drive, we decided to stop off in Busselton for a lunch before finishing our journey back to Perth. 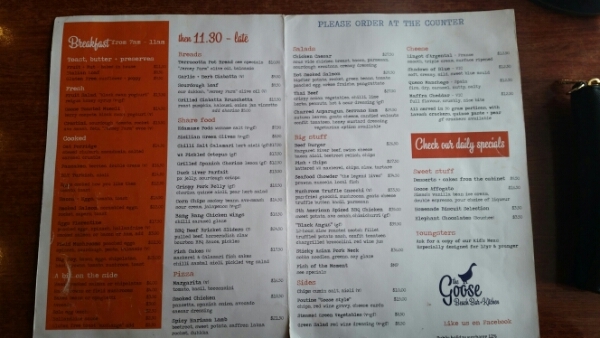 This wasn’t the first time in Busselton but we never made it to The Goose. The restaurant was rather busy so we strategically took our seats with a view of the jetty. As none of us were very sure what we wanted we decided to get a few choices from the menu to share. When considering sharing dishes pizza and nachos are definitely the way to go. Who doesn’t like pizza or nachos? With that in mind, we decided on the Smoked Chicken Pizza ($18.50), Spicy Harissa Lamb Pizza ($21.50) and the Corn Chips ($14.50) from the share menu. We sat to chat about our weekends antics on yet another wine tour and took in the view. It is such a picturesque location with visitors walking the jetty and families enjoying a day at the beach. Before long, our food to began to arrive. We put everything in the middle of the table to share and had a small plate each. Obviously, we all had a little of each dish. 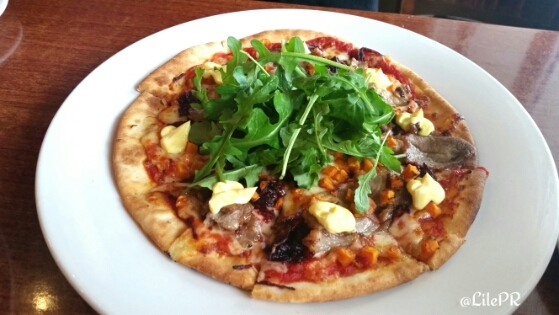 My favourite was the Spicy Harissa Lamb Pizza! Both pizzas were very tasty but this one had a sort of sticky puree beetroot that I really liked, it complimented the spices on the lamb. Sweet potato puree is not something I’ve had on a pizza before but I really enjoyed it. The pizza was full of textures and it just worked! 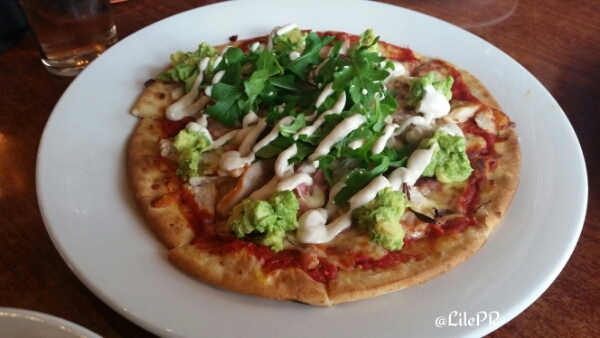 The Smoked Chicken Pizza was also a hit,more so with my fellow diners as they are fans of avocado. I also had a slice of this, scooping the avocado off. The caesar dressing kept the pizza moist and added a little flavour. The chicken pieces were deliciously smokey and plentiful…which I like! The nachos were unassembled which is another thing you don’t see very often. I guess it allows the diner to assemble their nachos however they please. The beans were amazing! 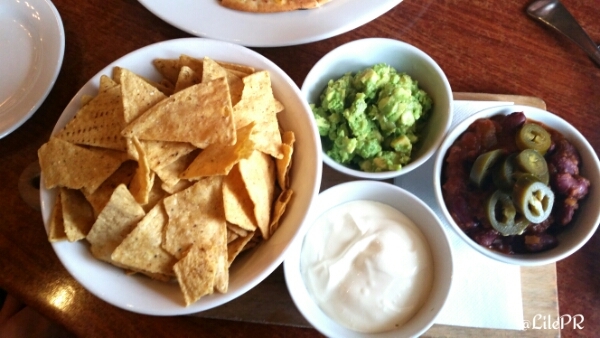 My nachos were made up with lots of smokey beans and lots of sour cream! The portion size was large and value for money in my opinion. The combination of the good food and picturesque views make The Goose a great place to revisit, I hope to return again for a third time soon!